Canonically elected by the Holy Synod of Bishops of the Orthodox Church in America during their Spring Session on March 29, 2016, Bishop Alexander succeeds His Eminence, Archbishop Dmitri, who in retirement fell asleep in the Lord at the age of 87 on August 28, 2011. The celebration will begin on Friday, June 10, with a reception for clergy and their wives at 4:30 p.m. Vespers will be celebrated at 6:00 p.m. A reception will follow at 7:00 p.m.
On Saturday, June 11, the greeting and vesting of His Beatitude, Metropolitan Tikhon, will commence at 9:00 a.m., followed by the Hierarchical Divine Liturgy and Rite of Enthronement at 9:30 a.m. A banquet will begin at noon. Bishop Alexander also will preside at the Divine Liturgy at the cathedral on Sunday, June 12. According to Archpriest Marcus C. Burch, Chancellor of the Diocese of the South, a block of rooms with a discounted rate has been reserved for the celebration at the Dallas Marriott Suites Medical/Market Center from Thursday, June 9 through Sunday, June 12. On-line reservations should be made on or before Sunday, May 22 to qualify for the special rate. Bishop Alexander [Golitzin] was born in Burbank, CA in 1948 and was raised at Saint Innocent Church, Tarzana, CA. He received a Bachelor of Arts degree in English from the University of California at Berkeley and a Master of Divinity degree from Saint Vladimir’s Seminary. He spent seven years pursuing doctoral studies at Oxford University in England under His Eminence, Metropolitan Kallistos [Ware]. During this time, he also spent two years in Greece, including one year at Simonos Petras Monastery on Mount Athos. After receiving his D.Phil. in 1980, Bishop Alexander returned to the US. He was ordained to the diaconate in January 1982 and to the priesthood two years later. In 1986, he was tonsured to monastic orders. He served OCA missions in northern California and headed the Diocese of the West’s mission committee. In 1989, he accepted a position with the Theology Department at Marquette University, Milwaukee, WI, a position that he left at the end of April 2012. While teaching at Marquette, he had been attached to Saints Cyril and Methodius Church, Milwaukee, WI. For 22 years, he preached, taught and served at Saints Cyril and Methodius Church, and witnessed to the Gospel and to Orthodox Christian theology at Marquette University. He helped attract a dozen Orthodox Christian students to doctoral work in theology at Marquette. In June 2010, the Bulgarian Diocese initiated a search for a candidate to succeed His Eminence, Archbishop Kirill [Yonchev], who reposed in the Lord in 2007. 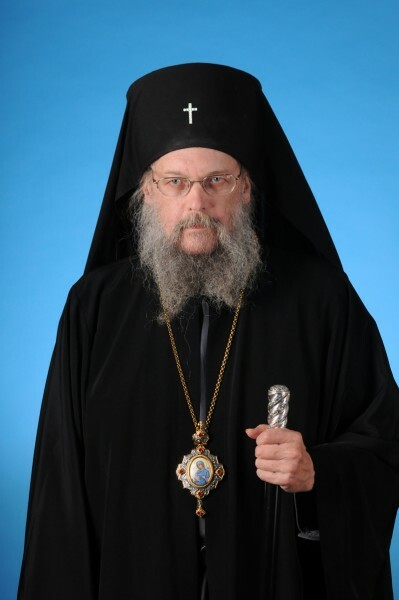 In October 2011, the Holy Synod of Bishops elected Archimandrite Alexander as Bishop of Toledo and the Bulgarian Diocese. He was consecrated to the episcopacy as Bishop of Toledo and the Bulgarian Diocese during a Hierarchical Divine Liturgy at Saint George Cathedral, Rossford, OH on May 5, 2012. This entry was posted in Featured News, News and tagged Bishop Alexander, Bulgarian Diocese, Dallas June, Hierarchical Divine Liturgy, His Eminence by Orthodoxy Cognate PAGE. Bookmark the permalink.